Help your child take that first step toward an organized life with the Libra collection. This collection has plenty of open and closed storage spaces where children can store their precious treasure or keep essential items handy. With its sleek, straight lines highlighted by the slightly rounded curve, this collection’s contemporary character gives it an enduring style that will keep its relevance even beyond childhood! South Shore Furniture provides the original buyer with a warranty covering defects on furniture parts and workmanship for a period of 5 years from the date of purchase. 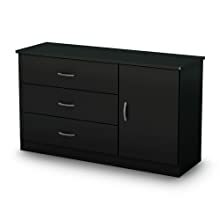 This contemporary style dresser offers plenty of storage space within three drawers fitted with metal handles in a Pewter finish. Furthermore the adjustable shelf behind the door offers an ideal space for bulkier items such as sweaters or hoodies. 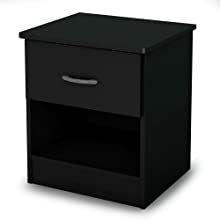 This night stand is both practical and elegant, featuring an easy-access open storage space and a drawer fitted with metal handles in a Pewter finish. 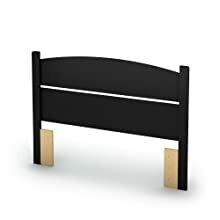 This contemporary style full headboard (54 inches) features classic lines with slight curves. 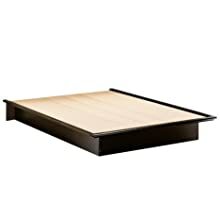 It is also adjustable for two different heights so it can be fixed with a low platform bed, or a metal bed frame and box spring combination. 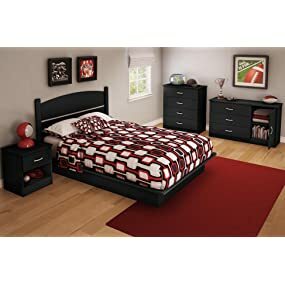 This full platform bed (54 inches) features a sleek design, which adds a simple yet sensational allure to any bedroom. Create that comfortable and contemporary bedroom you always dreamed of. This platform bed will go with any other pieces from our collections in the same finish. At South Shore, we manufacture affordable Bedroom, Living Room, Nursery, Storage and Home Office furniture. We also share our passion by helping people create the décor that suits their way of life. In terms of environment, every bit counts so we manufacture our products from certified non-toxic particle board. It is also our priority to produce pieces of furniture that meet or exceed all US Consumer Product Safety Standards. 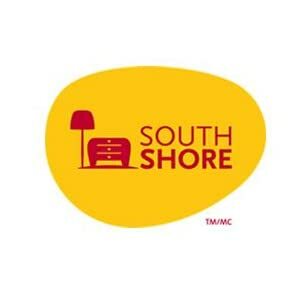 South Shore is a recognized leader in the North American furniture manufacturing industry and relies on over 700 employees in 3 plants; 2 in Canada and 1 in Mexico.